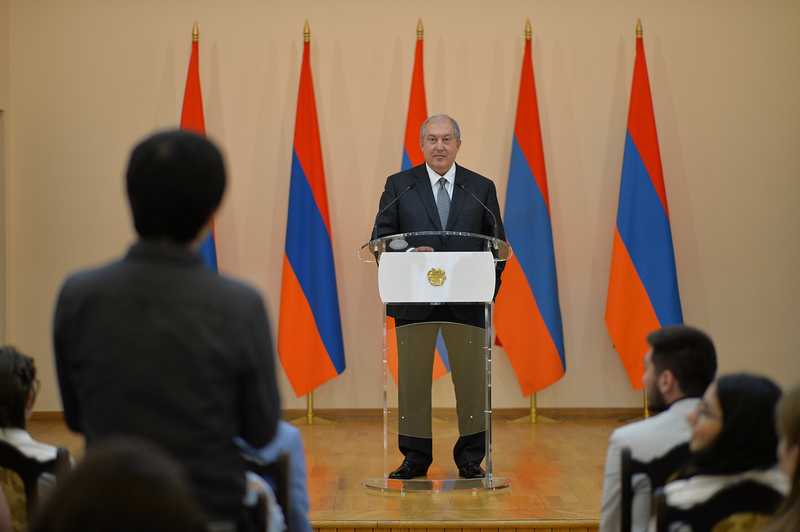 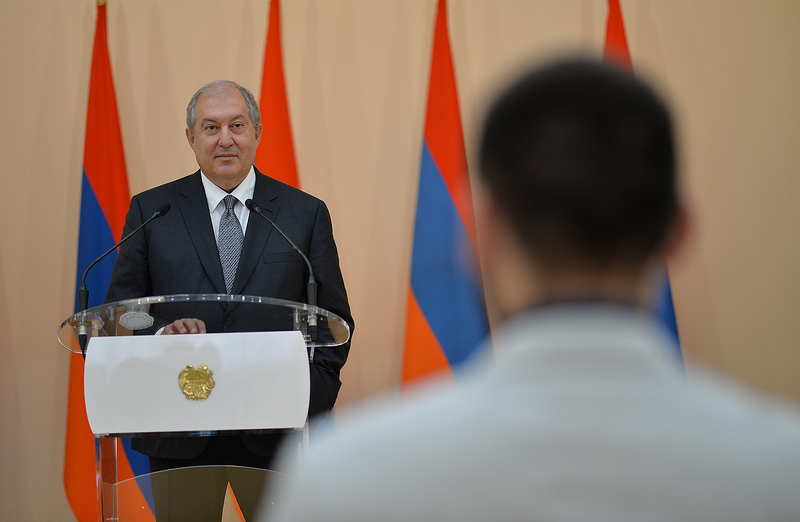 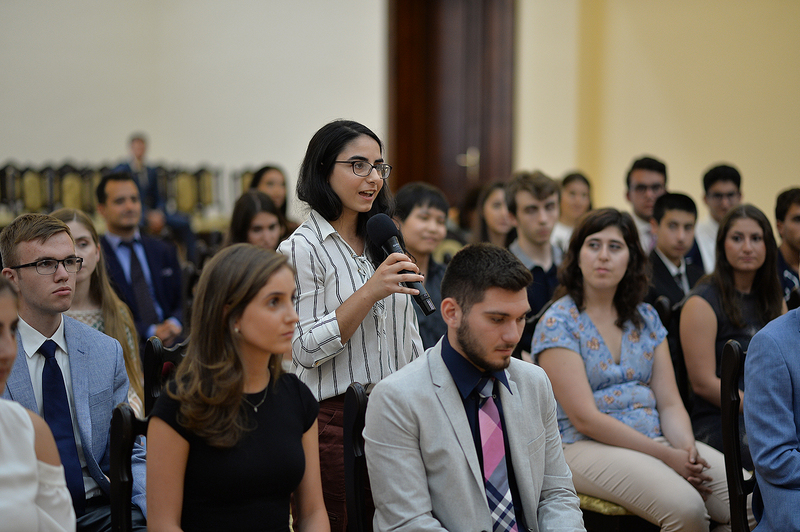 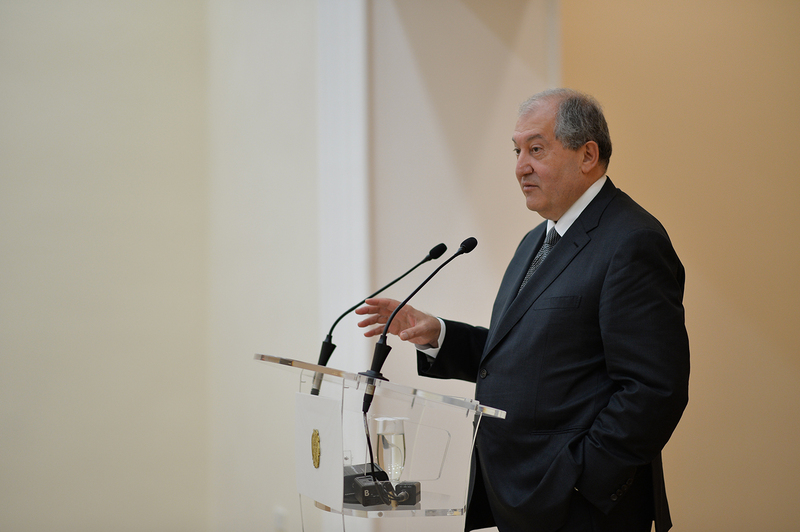 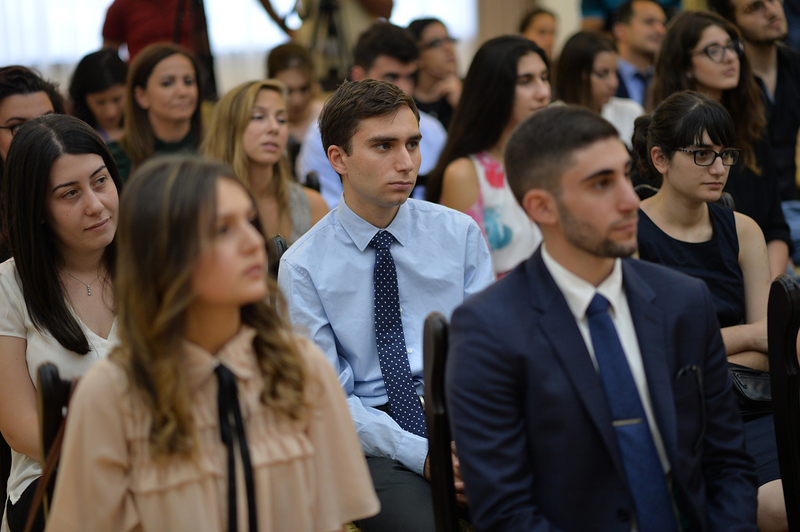 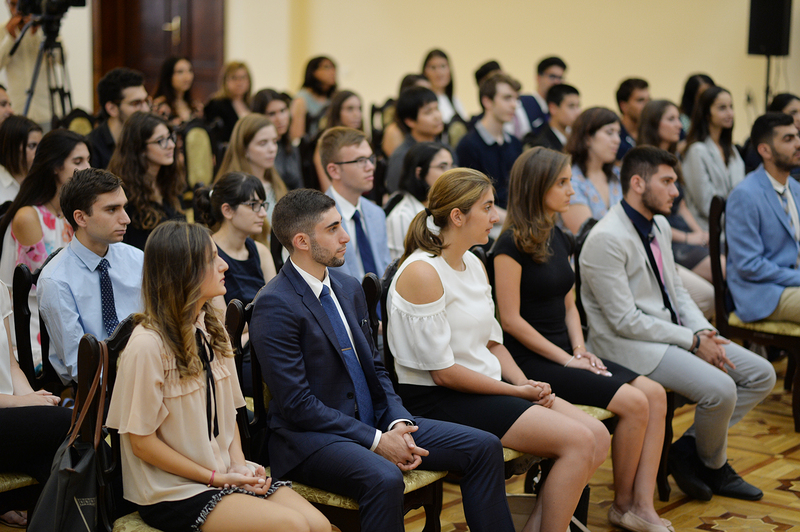 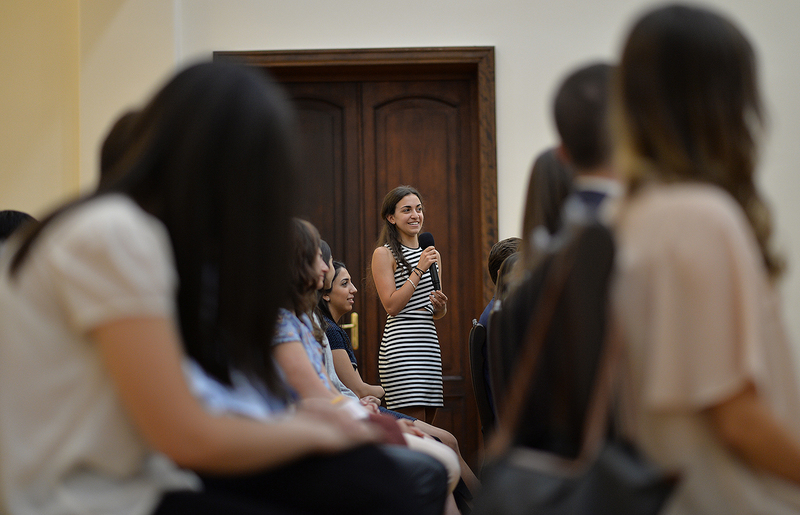 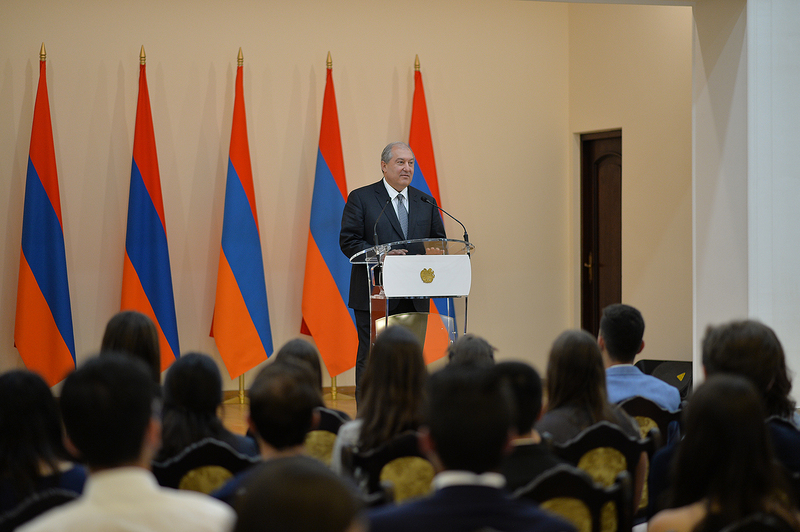 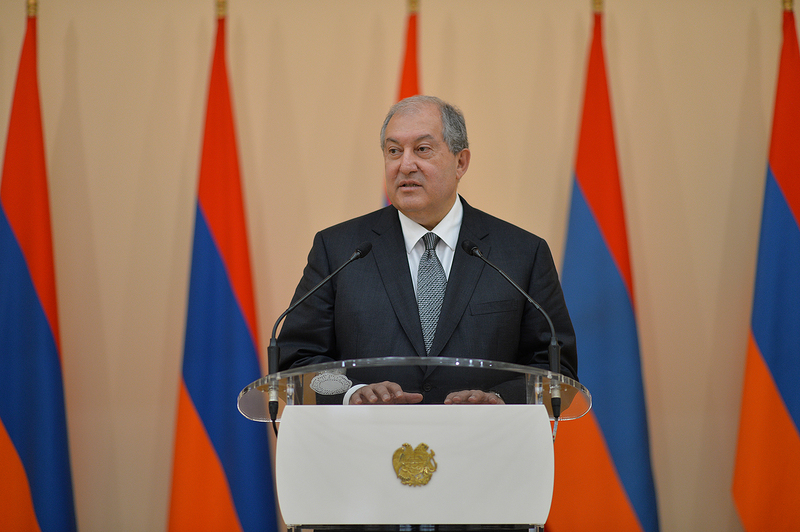 Today, at the Presidential Palace President Sarkissian received students-participants of the Armenian Benevolent General Union’s (AGBU) Summer Internship and Musical Armenia programs who have arrived to Armenia from various countries. 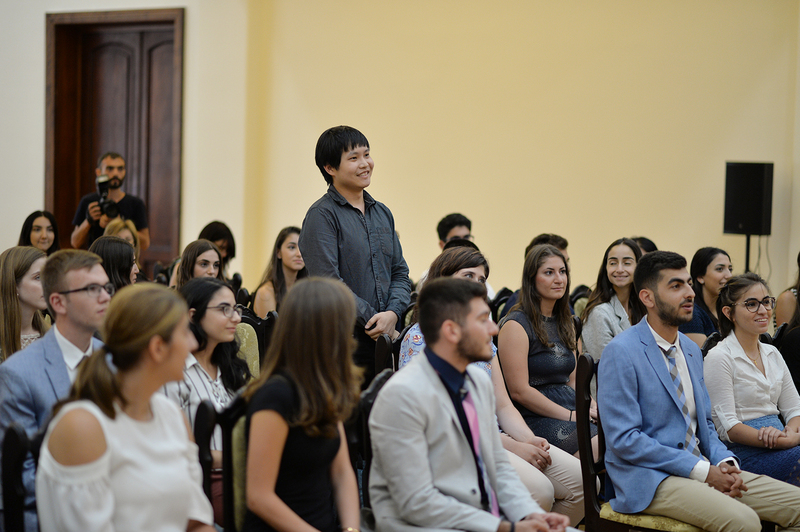 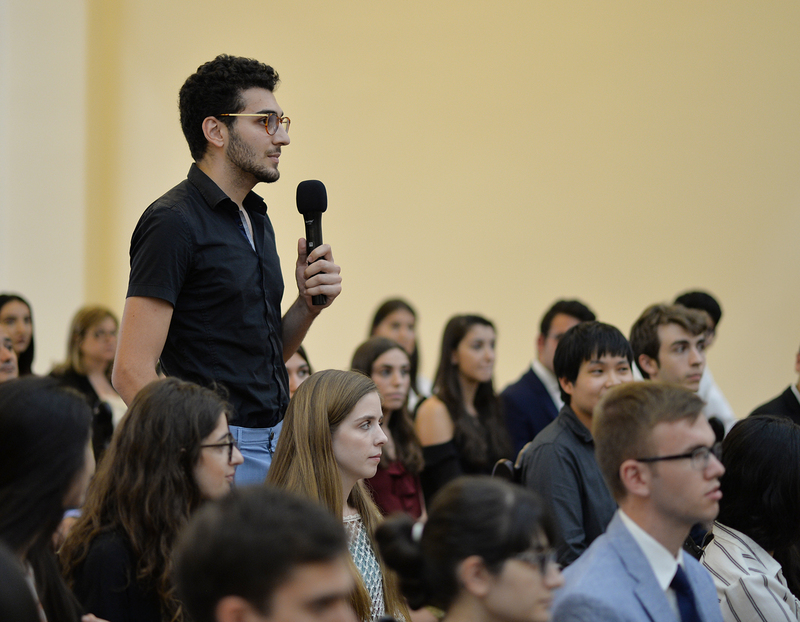 The students told Armen Sarkissian about the objective of their visit to Armenia, shared their impressions and raised different questions, particularly about the changes going on in Armenia, new opportunities, the vision for Armenia’s development, as well as about the problems of the Syrian-Armenian community. 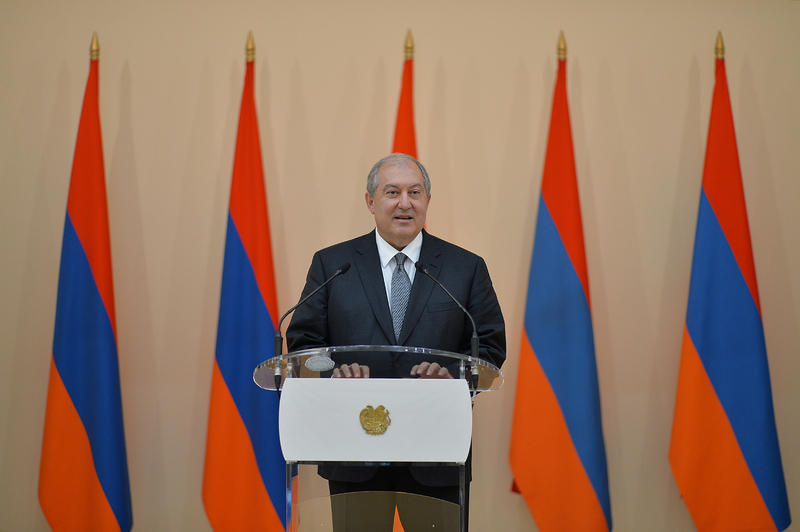 Speaking about the changes that have taken place in Armenia, the President noted that the country needed these changes. 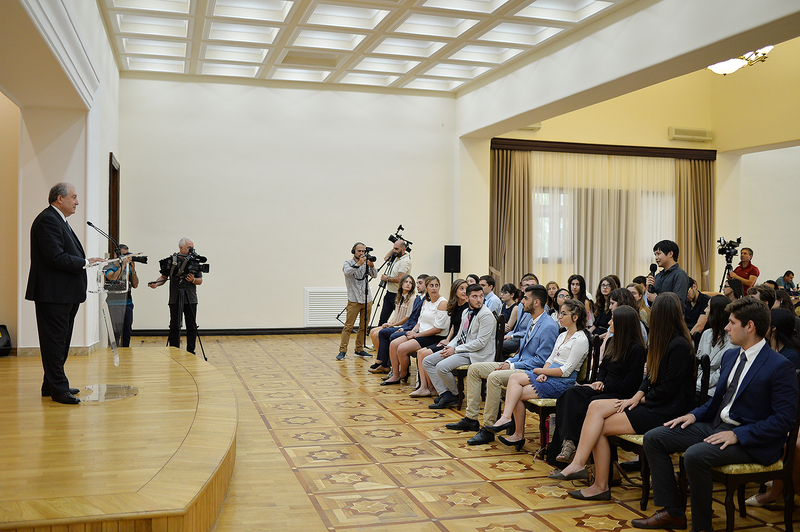 “It is very important that any young person, who lives in this country, is confident that the system is fair and through his or her hard work and talent one can achieve success and through that success to make the country better and more prosperous,” the President said. 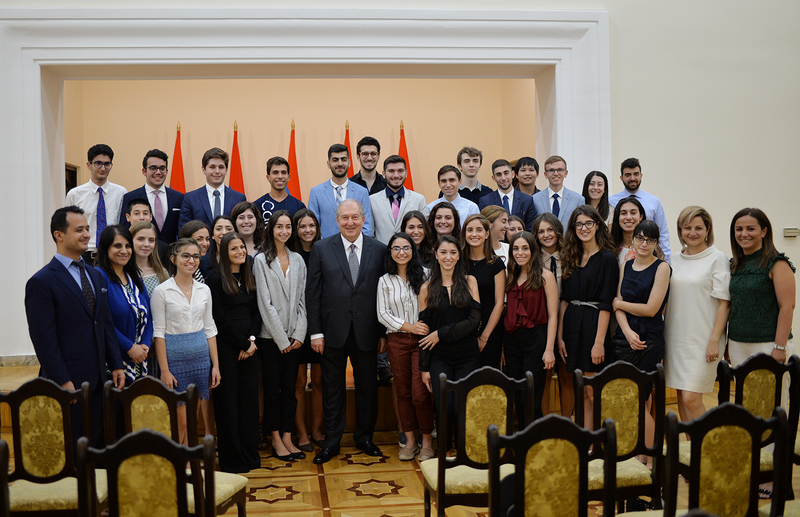 At the conclusion of the meeting, the President urged the young people – regardless of where they live – to be proud of their national identity and to hold Fatherland in their mind and their heart.